The British Library has ‘Harry Potter: A History of Magic’ on, set to be one of its most popular exhibitions. Even if you are not a Harry Potter fan, it promises some extraordinary exhibits from the British Library’s collections, and elsewhere, exploring the traditions of folklore and magic through the ages. 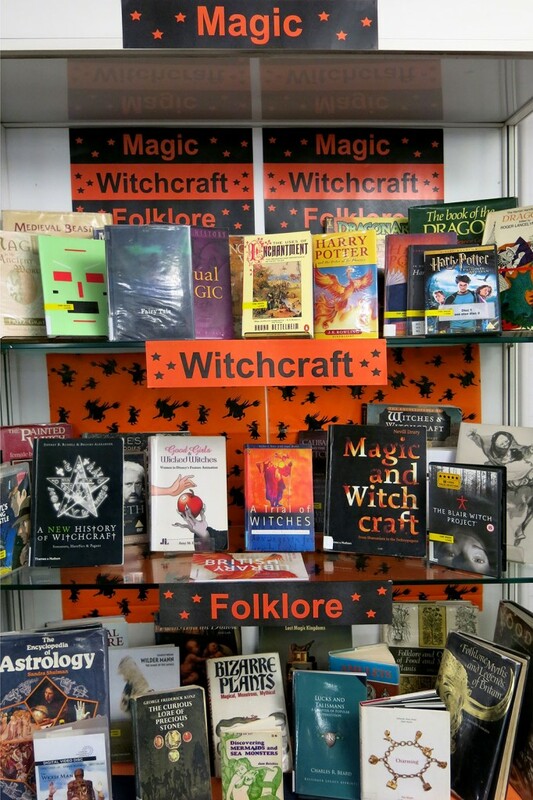 A fascinating set of events accompanies it, including a course on Witchcraft in Medieval and Early Modern Europe – it starts today so best get on your broom… Or how about a talk on illustrating the novels (Friday 17th November)? ; or ‘Women, Witches and Witch Trials’ which discusses the history of witchcraft and gender roles within it (Tuesday 5th December); a course on Picturing Magic, which begins in January where you will learn from professional illustrators then bind your illustrations in a compendium. For a full list of events see here. Some of the exhibits in the Harry Potter exhibition have come from the Museum of Witchcraft and Magic in Cornwall, which also has a pop up display in London at The Viktor Wynd Museum of Curiosities in Hackney . We also have a Halloween costume recycling bank in the library, where you can donate your unwanted costumes, to help reuse the 7 million Halloween costumes that were disposed of last year. Yikes. This entry was posted in events, Exhibitions, Library books and tagged art, books, exhibition, exhibitions, images. Bookmark the permalink.